Hub has a resin base to gather excess water, it has four slots for tall umbrellas and two hooks inside the upper ring for small umbrellas. 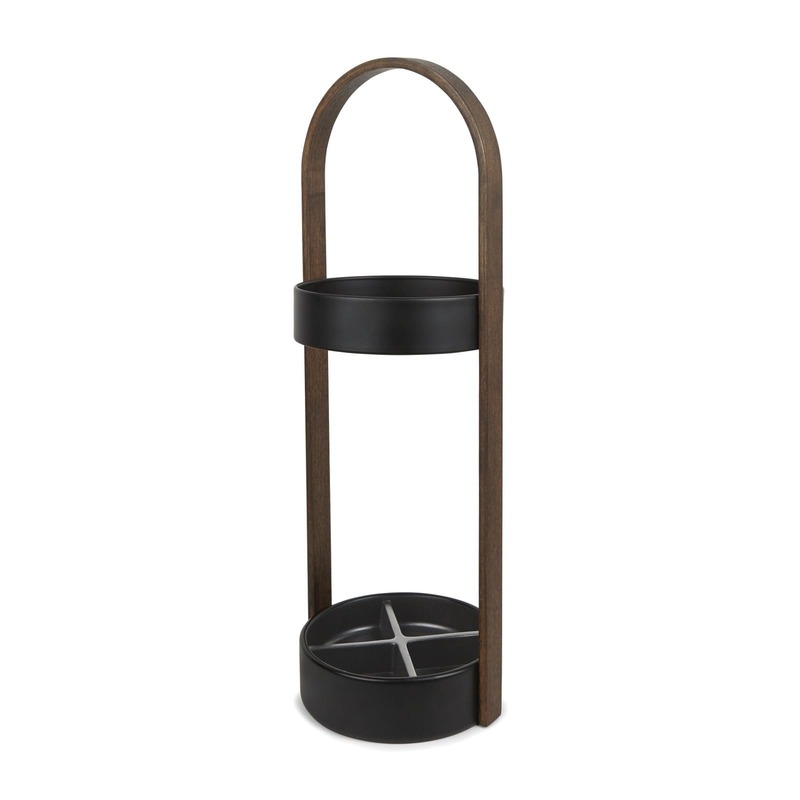 Designed to keep your space dry and clutter-free, Umbra Hub is a great addition to any casual entryway. 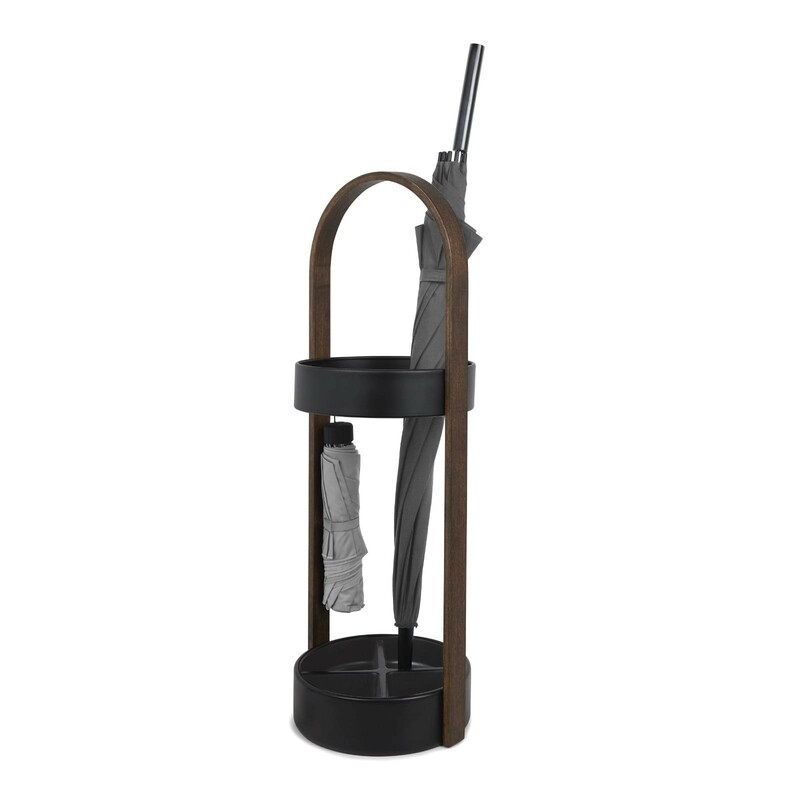 DESIGNED BY JORDAN MURPHY: Jordan said he designed the umbrella stand because he was always losing his umbrellas as he never able to keep them in one place, so he created a stand that was just as attractive as his furniture, that he would be happy to have out in the open. Material: Solid walnut, base made of water-resistant resin. Measures: 68,6 x Ø 22,2 cm (27" x Ø 8 3/4"). 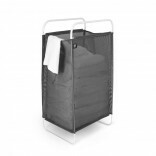 Easy to assemble, hardware included in package.